Remember that time I let you in on one of my hidden hobbies (that I feel a little nerdy sharing)? And remember how I told you to get ready because more of it would be coming your way? Well...welcome to my newest type of post: Tori's Pretty Plans! 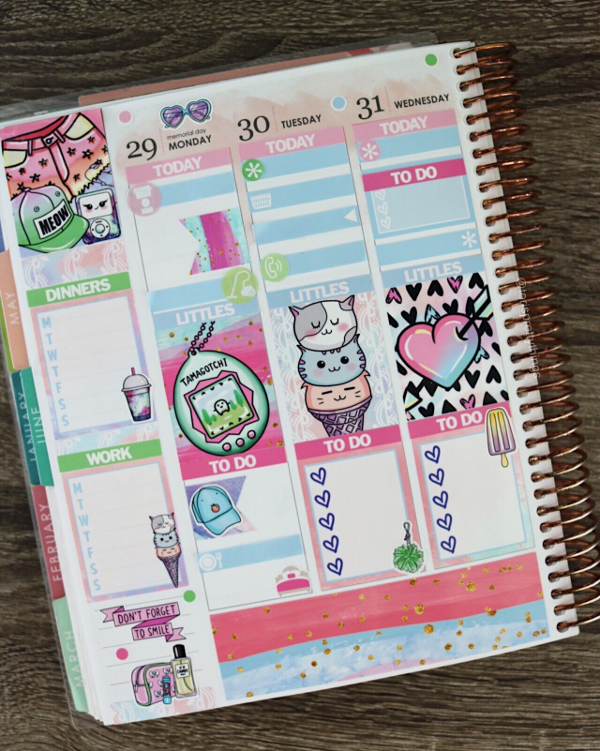 So every other week, you'll be getting a look at my Before the Pen weekly planner spread. Think of it like a sneak peak into my weekly scrapbook, if you will. You'll get a look at my sticker decorations and planning layout to help inspire your creative memory keeping. But you don't have to try and decipher my ever-messy left-handed writing - Can I get an Internet High Five?! So are you ready? Let's jump into the first edition of Tori's Pretty Plans. With this being the first edition and all, it's only fair to give you some insight into how this love affair began, right? Planning carried with me into adulthood and I looked forward to my yearly Target trip to make the ever difficult decision - the blue planner or the green one? Scrapbook planning, though, kind of fell into my lap. I had recently moved to New York, didn't like the planner I was using, and saw Elle, my favorite YouTuber, talking about her new glam planning hobby. A new creative, colorful outlet that let me turn my daily to-do lists into something fun and exciting? Sign a gal up!!! 1. 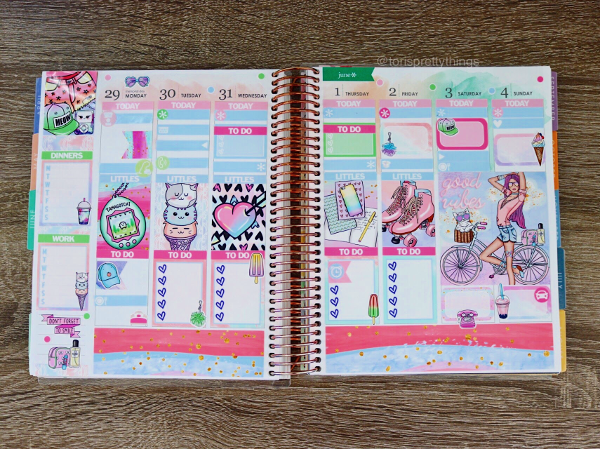 I'm very loyal to my Erin Condren planner. 2. I like to plan chronologically. Most of the stickers I used are created in kits. These kits are usually formatted to plan like this. I really need a linear view of my day, though, so that system doesn't really work for me. I love the pre-made aspect of a kit, though, so I still buy them and then decorate my own way :). This week I'm using the Glam Planner monthly mystery subscription kit from March. You guys, one word: Obsessed! How gorgeous are these stickers?! Elle is such a creative genius when it comes to detail and design. Yes, okay, her stickers cost a little more than other Etsy shops. But the design choice, along with her paper and sticker quality, completely speak for themselves. Her products are worth every penny! A tamagotchi? Bright-colored clothes? Summer vacations? Eating ice cream for breakfast during said summer vacations? Um, yes - check, check, check! So that's it for this week's plans! Now, I'd love to hear your thoughts. What do you think about scrapbook planning? What you give it a try?